Although we never really experience extreme cold during the “winter” in California, it can still get chilly from time to time in those first few months of the year. Without the 70 degree weather, we are often tempted to stay indoors which may limit our level of activity. What you may not know is that Citrus Heights is full of things to do during the times you might be more inclined to stay in doors. If you are looking to stay indoors but sick of the same old movie night routine then you might considering visiting The Heights Theatre. Located on Auburn Blvd this theatre has a long running schedule of multiple productions for your enjoyment during the Winter. For more information on their available productions or to buy tickets we encourage you to visit their website. Steve Cook’s Fireside Lanes is the best option for a night of fun the whole family can enjoy. Whether you are looking for a fun night out with your family or are planning a party this is a great option! 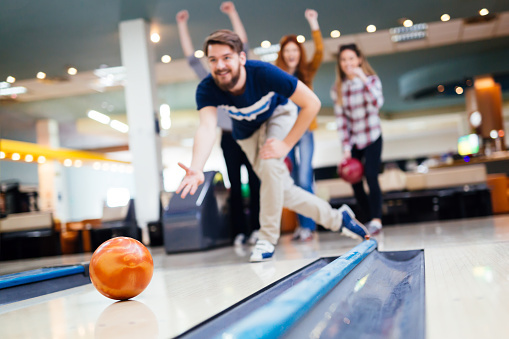 This bowling alley features multiple lanes to fit your full party and also a full food and drink menu to feed your party. If you are looking for something to spice up your bowling night you might considering doing some karaoke on Wednesdays, Fridays, Saturdays and Sundays! For more information you can visit their website. Another great option is putting on some skates and rolling around with some friends! Sunrise Rollerland is located at 6001 Sunrise Vista Dr. is the perfect option to get moving and active while staying indoors. This roller rink has everything from lessons to parties and free skating. All you have to do is visit their website to see all the fun offerings and promotions they have available. Be sure to check out their winter schedule to make sure you visit at the best time for you!Stay Active This Winter! If you don’t feel like going out it is always an option to stay cozy in your 1,2 or 3 bedroom apartment at the Montage. If you are looking to move to Citrus Heights we encourage you to check our availability and apply today!